If you mistake passion for pushiness, stop reading this article now. If you are hostile to strong women and believe in a glass ceiling below the boardroom for women, do exactly the same – if you don’t, feel free to read on. 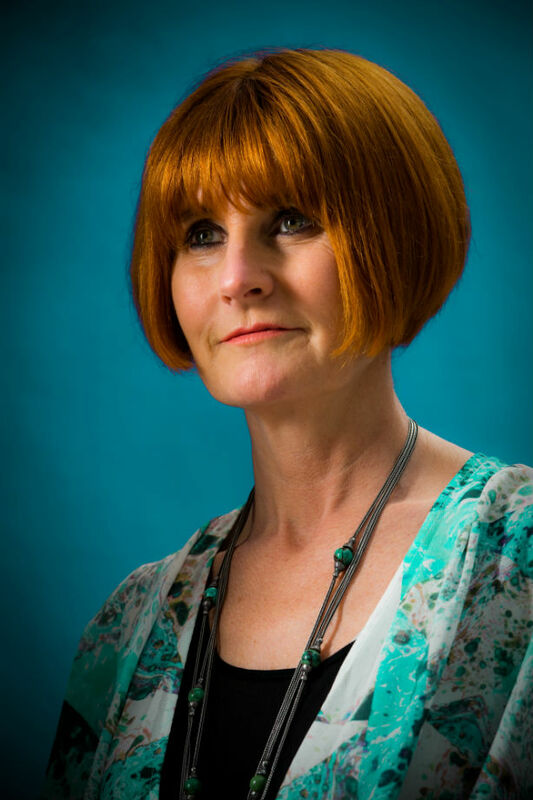 Today PRWeek is meeting Mary Portas, the Saturday girl at John Lewis who climbed the macho corporate ladder of retail via Harrods and Top Shop and rose to a boardroom role at Harvey Nichols. More recently she used reality programming to tussle with the Government over its inaction on saving the great British high street and launched her own branding company Yellow Door, now Portas, with retail clients including Westfield, Habitat, shoe retailer Clarks, Freesat and Australian women’s retailer Sussan Group. The Portas ‘brand’ has kept up with the fashion zeitgeist but includes several intrinsic components. First there is the hair, the iconic redhead bob which Portas admits has become a "kind of signature" but says does not get her recognised as much when she is on holiday relaxing with her family, her daughter, two sons and her partner Melanie. Then there are the "rings, shoulder pads and shoes", points out her former managing partner-turned-director of comms at John Lewis, Peter Cross. Refreshingly Portas has no PR chaperone sitting in the corner attempting to veto sensitive subjects or peek at the notes being taken, something she says makes her feel "slightly horrified". After a quick meet and greet with Portas’ schnauzer and poodle cross Walter in the informal setting of the upstairs kitchen at the Portas agency, the inevitable subject of Harvey Nichols crops up. Its rise in the 1990s from retail non-entity catering to old women who "fell asleep at the banquette seating" after too many sherries to "cool, contemporary" retail nirvana presents itself through an anecdote of one of Portas’ first brushes with the power of the press. She details a coffee with the The Daily Telegraph’s fashion director Lisa Armstrong, then at The Independent. "We were talking about department stores," Portas reminisces, "and this was about 1990 when bling culture was being introduced and all those luxury brands were opening up big boutiques on Bond Street and it was all about independent boutiques and brands." This obviously lit the spark of creativity within Armstrong: "About two days later [Lisa] wrote this piece saying the department store is dead – well, I nearly died. "And I rang up and said, ‘well thanks, I’ve only just got in’. But at that time they were a dying breed," Portas admits. It was a press and public perception that Portas, newly poached from Top Shop where she managed the store displays, had to challenge head on. The perception was blocking access to some of the most famous brands on the planet, including Calvin Klein, Dolce & Gabbana and new kid on the block Donna Karan. "I went to Wendy Dagworthy who was at the Royal College of Art, and she guided me on who she thought were going to be the big future names and we went to St Martins and set up these catwalk shows." Portas explains that this was part of a larger PR and comms strategy, due to minimal budgets. "What happened was the world’s press were suddenly sitting in our store and were talking about our store having window displays with young artists like Thomas Heatherwick [who has since gone on to design the London 2012 Olympic cauldron]. All this stuff got the talkability, and on the back of that we got the labels." She cites that milliner Philip Treacy held his first public catwalk show at Harvey Nichols and the late Isabella Blow helped with the styling at some of the shows. Not that the success of all the coverage of the shows did not cause some casualties – one of which was Harvey Nichols’ external comms consultant and fashion PR veteran Lynne Franks. "The first fashion PR I came across was Lynne Franks and I sacked her," Portas says in reaction to a question about what she thinks of fashion PR, in her version of events while she was at Harvey Nichols. She says she saw a glimpse of the PR lifestyle that prompted her to make the change. "Here were these PRs with great product, great luxury stuff and they were always meeting with press, and I just wanted to do more with it, I wanted to do the catwalk shows and events," she says. It is this directness and penchant to do things her way, and the magnification of this perceived image through her BBC and Channel 4 reality shows such as Mary Queen of Shops, that sometimes taints the public image of Portas as at best a control freak and at worst, the sort of pejorative terms attached to too many forthright and powerful women. Cross, who worked with Portas at her agency in both its guises for just under a decade, offers some explanation of the disconnect between the public image and the private person. He says: "What you have to remember is that she’s a woman in business and retail, and there aren’t that many female retail leaders. It’s quite a male environment, so she literally cut through in what in many ways in quite a macho environment. "There is an incredible life force running through Mary’s veins that is very unusual. She’s very, very intuitive and very, very fast. She’s just got the ability to intuitively create those solutions – it’s infectious, and it’s the skill of a leader." He explains that most people do not appreciate that there is a "sensitivity" to Portas and that she "genuinely feels stuff and feels it deeply". Due to her status as a brand herself, it is very difficult to understand if the public perception wounds Portas or if it is something that she brushes off nonchalantly in the pursuit of her own passion for retail perfection. "I’ve never done a campaign behind myself, and I’ve sometimes been bashed pretty hard by the press, but I’ve never had a PR who’s out there sending stories about me. I just believe that genuinely who I am and what I am and what I’m trying to do will come out in the most truthful way eventually," Portas says. "There are times when I have opened my big mouth and, yes, I’ve put my foot in it, but actually, I’ve always known that at the end of it if I’ve done that with the right will then that’s alright. So there’s never been any strategy." Being bashed by the press took on a whole new meaning when she was appointed by the Prime Minister David Cameron and Deputy Prime Minister Nick Clegg to lead an independent review into the future of the UK high street, a review that was presented as ‘The Portas Review: An independent review into the future of our high streets’. She delivered on 13 December 2011 a report that she conducted in her own time for no fee but the Government has taken little or no policy action on it. The report included a plan to put in place a ‘town team’ – a visionary, strategic and strong operational management team for high streets; a ‘national market day’ where potential shopkeepers can try their hand at operating a low-cost retail business; and a plea for local councils to use their new discretionary powers to give business rate concessions to new local businesses. Of 371 applicants to become ‘Portas Pilot’ towns, 12 have been selected to receive a share of a £1.2m government High Street Innovation Fund to support retail activities following Portas’ review. The 12 pilot areas are Bedford, Croydon, Dartford, Greater Bedminster, Liskeard, Margate, Market Rasen, Nelson, Newbiggin-by-the-Sea, Stockport, Stockton-on-Tees and Wolverhampton. Portas says: "I will talk to you about it, as again I don’t have a PR sitting in the corner cringing, and really what is the point? "The truth of the Government thing is that you’ve got to understand how the Government works, which I didn’t beforehand. People say would you do it again, and I say I would do it again because, actually, in terms of what has gone on off the back of [the review] is that there has been extraordinary work across the country." With that she reels off a list of ministers she has dealt with, from Steve Hilton, adviser to Cameron, who kicked off the project, and Ed Davey, who left to work on the government environment brief, to Grant Shapps, who was made minister for high streets, which she acknowledges as "a step forward". She then got Mark Prisk and Brandon Lewis, all in the space of just over two years – no wonder she sounds exasperated. "You become the only person over two years to consistently have the knowledge of what’s gone on and that’s just the way the Government works. So, have I had the support, have I had the backing? I actually didn’t know what to expect." She says that she has been on the receiving end of a campaign that has been driven very cleverly by some people who thought that they should have written the report themselves and that they have "made the whole process political". Portas insists that, in line with her passion for retail, she did it as a piece of work that she "absolutely knew needed doing" and was absolutely key to the UK. "If we lose our high streets, we will have a real social issue on our hands," she warns. "I’ve worked for every type of retail – online, off-line, shopping malls, boutiques, department stores – and I shop in all of those and that’s the way we are today. I don’t just shop small, it can’t fit into my life, but that doesn’t mean that I won’t give the time that I have – and without charging – for fighting for something that I think is really important." When asked whether she thinks that she was chosen to be not only the force behind the report but also the face behind it, she cracks a conciliatory smile, before asserting that she is her own woman, not some government stooge. "I don’t even see myself as government linked, I see myself as a voice for this country and I try to push and have an influence on policy," she affirms. "Because I’m a public person, did it help that report? Of course it helped that report. It helped to get it on the public agenda. I don’t want to be in the press at that kind of level, I dread being in the press. I just don’t do that and I don’t want that. It’s just an issue I think is really important." She believes there is a worry that people in the UK will stop doing great things and if you cannot use people in the public eye who have years of experience to achieve goals for business and the public, then you are "draining some of the great resources we do have". In evidence of this, she has opened 12 Mary’s Living & Giving Shops with number 13 due this year, reinvigorating key spots on high streets through upper-range charity shops. In fact, Portas hears that The X Factor host Dermot O’Leary has popped into his local branch to donate some of his suits as PRWeek arrives. She is aware of the PR image that greets television (or film or music) personalities who go into the charity game, but stays honest: "Sometimes I get a lot of that [feedback] and people thinking, ‘oh, come on’. Do I shop in charity shops all the time? No. Do I think that’s important? Yes. So that’s where I’ll give my free time because I want to give it." The irony is that if the Government ever needed a retail champion to promote one of the UK’s most important industries, it’s now. After a series of high-profile comms blunders featuring retailers, from the reaction to the horsemeat in supermarkets story to the distancing of UK clothing firms from preventable deaths in Indian sweatshops, the retail industry has never found itself under so much scrutiny, and it is scrutiny that spreads more quickly across social media than ever before. Portas engages on this point: "I think when it is social media and you’re going to have a scandal then you have to go right to the top, right to the CEO or right to the owners of that business and look them in the eyes and say ‘what do you genuinely believe, and what are we going to be doing about this?’ and then clearly basing your communication plan on that." She adds: "And tell the truth to people, because today you get found out, and someone will find out and they’ll tweet it or they’ll get hold of it and you just have to be as honest as you possibly can." Portas says that there is a tendency not to do that among what she calls middle-managers or "gatekeepers" who are often too scared to tell the truth and over-analyse the message that they respond with. To that end she ecommends that major companies have a senior person responsible for social media and that the CEOs themselves enable their people to discuss issues with them openly, one of the reasons Portas herself sits well within her agency team with no barriers to access. "If you’re the boss you don’t want those who work for you to be in fear and keep things from you to protect you. I think that honesty has to be at the root of most businesses," she proposes. No matter how you view her public persona or how that is reflected in the wider world, there are a few things you cannot deny. 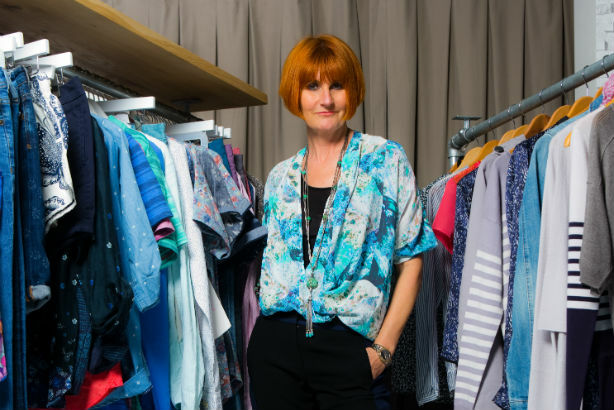 Mary Portas is about passion and specifically passion for retail, and maybe she has had to be pushy to get to the top, but is that such a bad thing? On the other side of the argument, you could see her as a role model and a trailblazer. Ultimately, if you’ve made it to the end of this article, one would hope it is the latter.